If you are like me, you have always been the kind to out the vinegar and food coloring the night before Easter to throw together something. 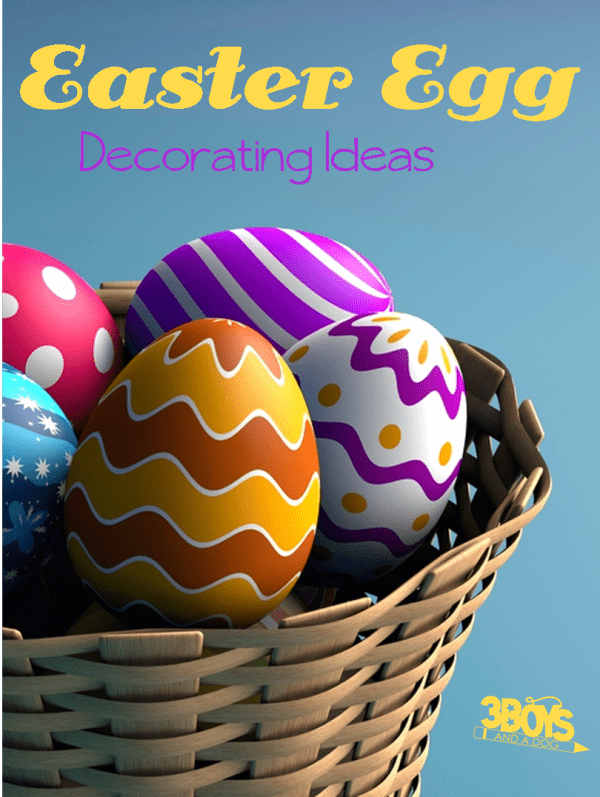 This year, let us both step up our game with these simple, but gorgeous, Easter Egg Decorating Ideas from around the blogosphere! Decorating Easter Eggs without their shell – ok, so this is really neat! I can’t wait to do this with Tank! For a really neat look, you can Hot Glue your Easter Eggs! You and your kids will have a blast creating these Decoupage Easter Egg Animals this year and your guests will be amazed at them – BONUS! Oh, these Drip Art Eggs are so very pretty! If you get some pearlescent paint, they will really knock the socks off of your guests. This Toddler Twist for Egg Dyeing has some glitter in the materials list… FUN! Oh, these Naturally Dyed Eggs are so very pretty with their pastel colors AND… maybe you missed it, but NATURAL. No artificial flavors or colors on your eggs this year!